Sometimes called Radiance or even the “Lunch Hour Lift”, Radiesse is a safe injectable filler that is used to help reduce or even eliminate deep facial wrinkles and folds. Radiesse works much like other dermal fillers in that when it is injected under the skin, it helps to promote new collagen growth. Collagen is a key structure in the skin that provides skin with strength, volume, elasticity, and keeps us looking younger. During the natural aging process, however, collagen begins to break down in the body and causes facial folds and deep wrinkles to appear. Since Radiesse helps to stimulate new collagen growth it can dramatically improve the appearance of these wrinkles and lines. Radiesse is a gel which contains little balls of calcium hydroxylapatite which is something that is naturally found in our teeth and bones. As Radiesse is injected under the skin into the treatment area, collagen begins to attach itself to each of the tiny spheres and begins to increase volume into the targeted area. This will not only improve the overall strength and structure of the skin, but it will also make the skin smoother and younger looking. What to Expect from Radiesse? Most Radiesse treatments take about 30 minutes to administer. Dr. Jacono may use a topical anesthetic prior to the injections to help make patients feel more comfortable during the treatment session. The Radiesse will then be injected into the targeted areas of the skin that are going to be treated. Depending on the size of the treatment area, more than one injection may be required to get the desired results. There is no downtime from Radiesse and patients can get right back to their daily activities. Since the procedure is about 30 minutes in time and there is no real downtime, many patients have opted to do this during their lunch break time and that is how it earned the named “Lunch Hour” lift. The results from Radiesse typically last about a year since the ingredients it is made up of are not easily broken down by the body. Many patients come back for touch-up treatments every 9 to 12 months to maintain that younger and smoother looking skin. Men and women who are beginning to show the signs of aging and want to restore smoother looking skin without surgery may be a good candidate for this non-surgical treatment. Most of Dr. Jacono’s patients who receive Radiesse treatments are between the ages of 35 and 60 and are looking to smooth their deep facial wrinkles. Adults who are in overall good health and want to reverse the signs of aging are usually good candidates. During your consultation with Dr. Jacono, he will review your desired results and expectations to determine if Radiesse is right for you. To see if Radiesse treatments are right for you, contact our office today to schedule your consultation with Dr. Jacono. You can also call us today at 516-773-2424 to discuss this and other treatments options. Radiesse is a dermal filler used to smooth moderate to severe facial wrinkles and folds. Radiesse is made up of tiny calcium-based microspheres suspended in a water-based gel. They are similar to minerals naturally found in the body. Once injected, Radiesse plumps the skin to give the appearance of a smoother surface. Over time it stimulates the body to produce collagen. Smile lines, marionette lines, corners of the mouth, pre-jowl folds, and cheek wrinkles. 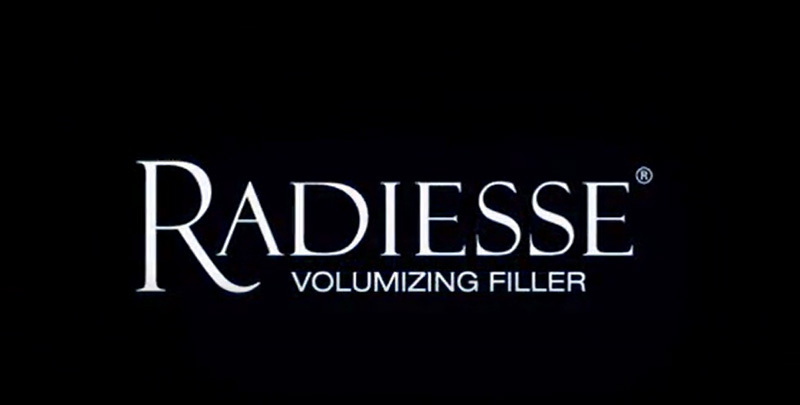 Radiesse is the only filler shown to stimulate collagen growth for up to one year or longer. Also, less Radiesse may be needed for correction when compared to other hyaluronic fillers. How is treatment with RADIESSE® performed? Radiesse is injected under the skin in a quick procedure. It is mixed with lidocaine which makes the injections more comfortable. How soon will I see results with RADIESSE®? You should see results from Radiesse immediately. Results last up to one year or more. Most common side effects are bruising, redness, swelling, mild pain, tenderness, and itching.